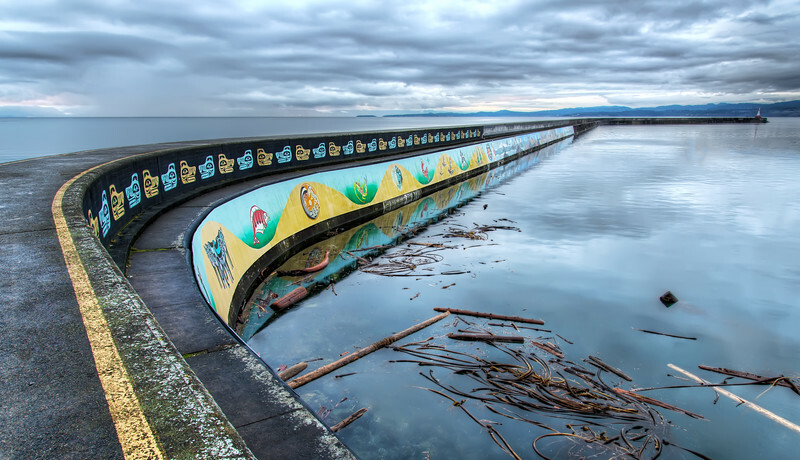 After nearly a century it has recently been decided the Ogden point breakwater pier is "dangerous" and requires handrails. 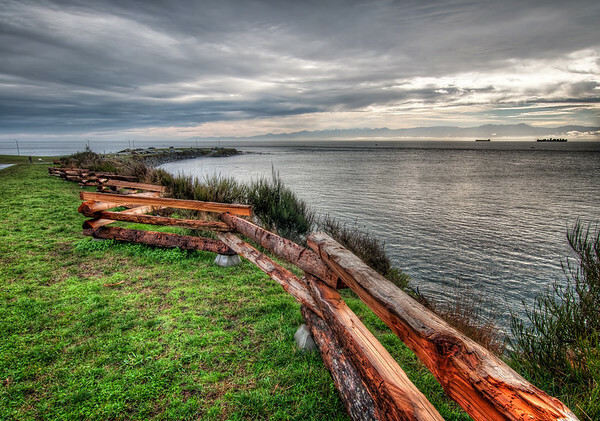 I figured I should get down and take some photos or the original pier before the rails get installed early next year. 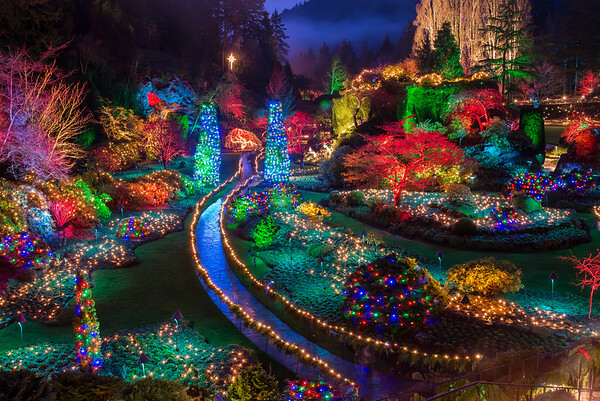 The Christmas lights at Buchart gardens. I took this photo late last year. 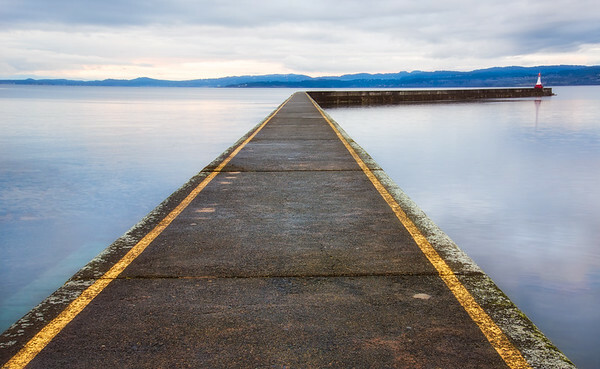 The plan was to put handrails on this pier and they should be there by now. I suspect the rails will add a certain degree of ugliness to the pier so this is how i would like to remember it. My trip to Victoria was pretty busy with the holiday festivities so decided to check out the lights downtown in the morning instead of the evening. 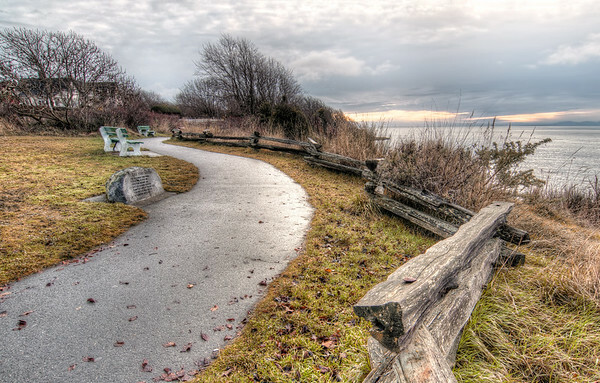 I took this photo Christmas eve morning. Was a beautiful morning, water was still and unseasonably warm, I didn't even need a coat. 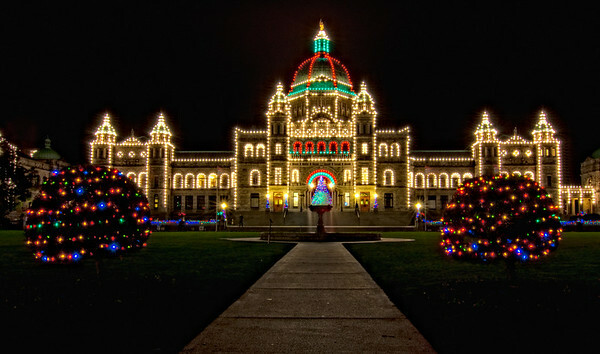 Was over in Victoria over Christmas and they had the government buildings well lit up for Christmas. It was raining when I went to take this photos so it took a couple of tries before I got one without water on the lens but it turned out pretty good. 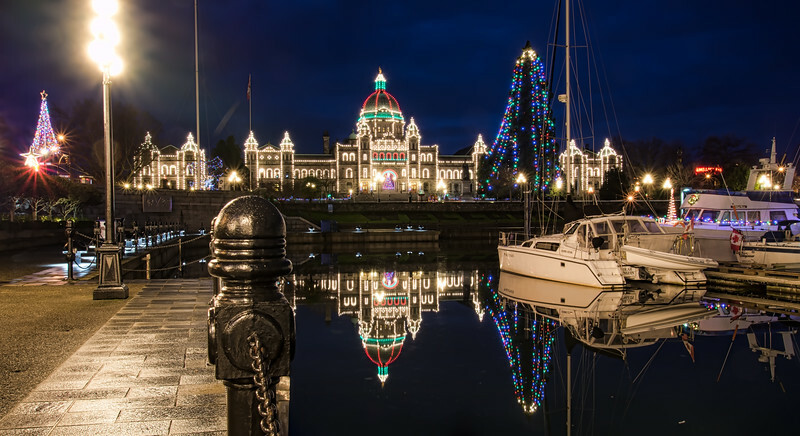 The BC government buildings are pretty impressive, they were well lit up with Christmas lights in a photo that I already posted but I also took some photos of the buildings during the day, this one was my favourite. 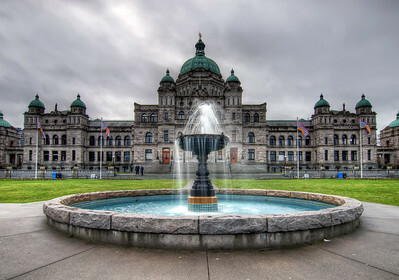 Behind the BC Provincial government building was this interesting fountain. There were statues of Canadian animals around the edge of the fountain, I thought the eagle was the most photographically interesting so took a couple of shots. 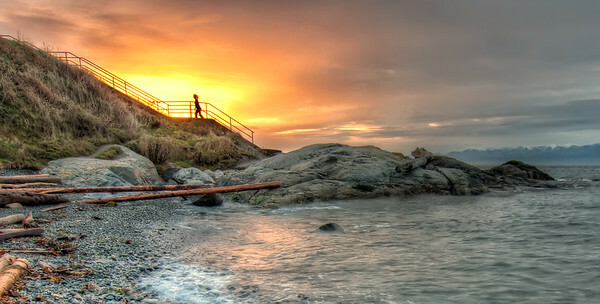 Was in Vancouver visiting my parents over Christmas, winter in Victoria isn't the best time of the year to take photos, lots of rain ... but there were a couple of days when the sun peaked out from the clouds. 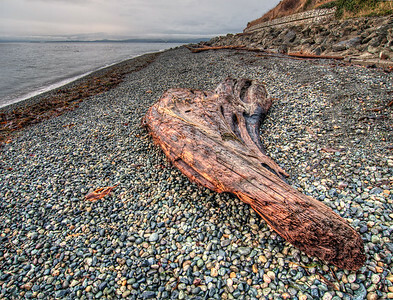 Along the seaside in southern Victoria was this pebble beach with lots of drift wood that had washed up over time. This particular piece of wood caught my eye. Woke up early on boxing day and headed down to the beach in South Victoria to try out my new tripod I got for Christmas and this was one of my favorite shots from the morning. I got lucky this lady was out for her morning walk just as the sun came over the stairs because there were many others out that morning. 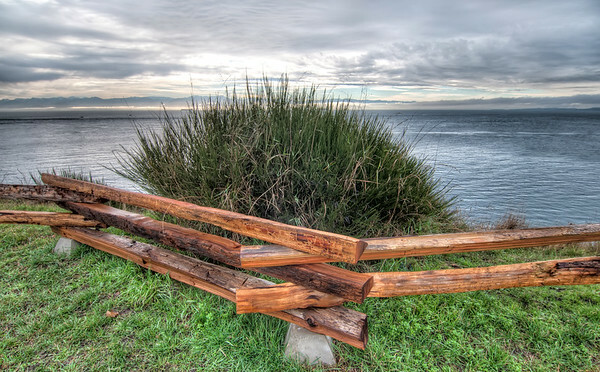 Clover point park is on the southern shore of Victoria, with a nice view of the mountains in the states across the water. This cool looking wood fence not only protected the long grass behind it but also us from the steep drop just behind the grass. 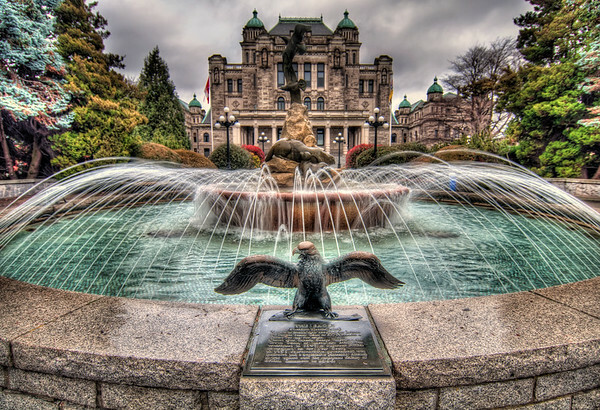 It had been a while since visiting Victoria but I was there over the Christmas holidays. I had forgotten how close it is to the states. 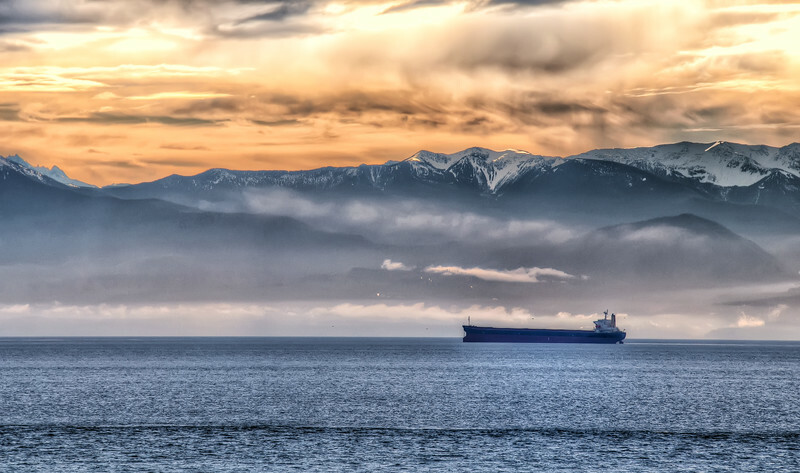 This photo of the American mountains was taken from the shore of Victoria.